Politicians, media fueling Islamophobia also responsible for the heinous terror attack, says Mevlüt Çavuşoğlu. 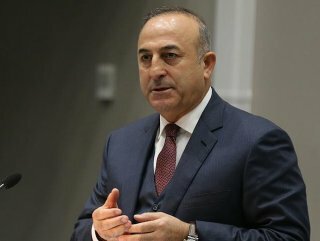 Turkey's foreign minister on Friday condemned terrorist attacks targeting two mosques in New Zealand. "I condemn the barbaric terrorist attacks perpetrated against two mosques in #Christchurch in #NewZealand," Mevlüt Çavuşoğlu said on Twitter. Çavuşoğlu wished God’s mercy to those who lost their lives and speedy recovery to the wounded. "Not only the perpetrators but also politicians & media, that fuel the already escalated Islamophobia and hate in the West, are equally responsible for this heinous terror attack," he added. At least 49 people were reportedly killed in twin terror attacks at two mosques in Christchurch, according to New Zealand Prime Minister Jacinda Ardern. New Zealand Police earlier reported that at least four people were taken into custody after the armed terror attacks.